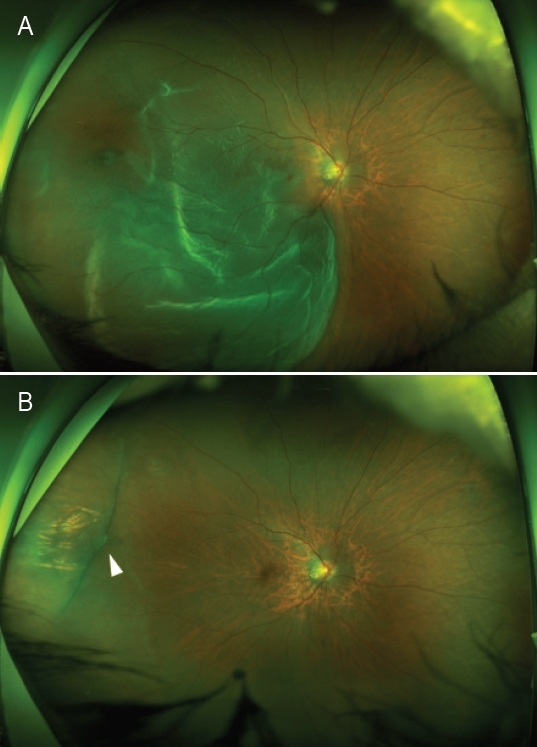 Pre-operative (A) and post-operative (B) wide-field fundus photographs of the first patient who was treated using the new depressor. The retina was reattached after an intravitreal gas injection, which was needed due to the occurrence of the fishmouth phenomenon (arrowhead) after the first surgery. The retinal break was located at the midpoint of the buckle.